We are currently located in SUITE 6 in the Atlantic Business Center at 8421 Old Statesville Road Charlotte, NC. Look for the green and white buildings, and the Royce Gracie logo in the window. Endorsed by Mike Swain (4 Time Judo Olympian), our 1,200 sq ft Dollamur mat area is the same waterproof, hygienic canvas material that can be found in some of the top academies across the country. The mats are thoroughly cleaned with a hospital-grade disinfectant after every practice. We have a changing area, bathrooms and a full service Pro-Shop (coming soon). 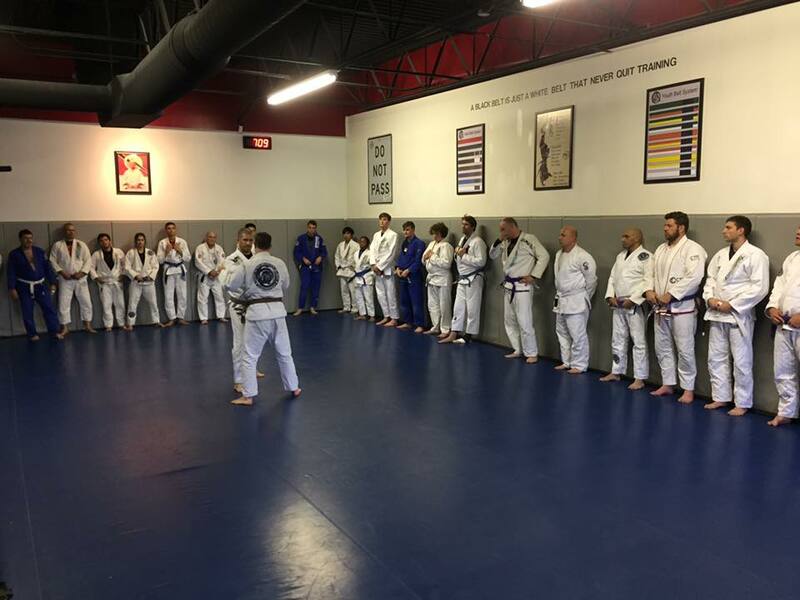 Our Charlotte location is a Brazilian Jiu Jitsu School. Focusing on take downs (Judo and Wrestling) and what happens once the fight hits the ground (BJJ and Submission Wrestling).